Buckle up. There isn’t a single playoff matchup set yet. There is nothing perfunctory about the final night of the NBA’s 2017-2018 season. There are 12 games on the schedule, including a de facto play-in game between the Denver Nuggets and Minnesota Timberwolves. Even the 15 teams with playoff berths clinched have plenty at stake as zero playoff matchups set. There are only teams even locked into specific seeds after 81 games. THE 76ERS ARE THE NO. 3 SEED IF: They beat the Bucks OR they lose and Cleveland also loses to the Knicks. THE CAVALIERS ARE THE NO. 3 SEED IF: They beat the Knicks AND the 76ers lose to the Bucks. They would have the same record, but Cleveland earns the tiebreaker by virtue of being the Central division. One of the questions that bubbled up after the Jazz on Sunday got that X next to their name, qualifying for the playoffs by winning 28 of their past 33 games, was this: How would they react now — with two regular-season games to play, with jostling for favorable playoff positioning still in the mix? The NBA updated a scenario chart (after releasing one earlier with errors) of the scenarios entering Tuesday night's games. The Donovan Mitchell-Rudy Gobert era produces its first playoff team. Utah’s improbable season after the loss of Gordon Hayward just received its capstone achievement: a playoff berth. With today’s win over the Los Angeles Lakers, the Utah Jazz clinched their second playoff berth in as many years. While last year’s Jazz team was the first Jazz team since the Corbin lockout year team led by Paul Millsap and Al Jefferson to make the playoffs, this year’s team was written off before the season began. Most of us—myself and most of our site included—had written this Jazz team off either before the season or by January after the Atlanta Hawks loss. But the Utah Jazz have proven everyone wrong while going on win streak after win streak to amass a 28 and 5 record over their last 33 games to get to 12 games over .500 and clinch a playoff berth. For those that believed this was possible in January, kudos to you. We will gladly eat all the crow you serve us. SALT LAKE CITY—The Utah Jazz are officially on the verge of making the playoffs. With a win Sunday over the Los Angeles Lakers on the road, the Jazz will clinch their second straight trip to the postseason. They actually would have done so Saturday had both the New Orleans Pelicans and San Antonio Spurs lost their respective games, but both won, delaying the possibility for a day. While Utah still has three games remaining in the regular season and still could get as high as No. 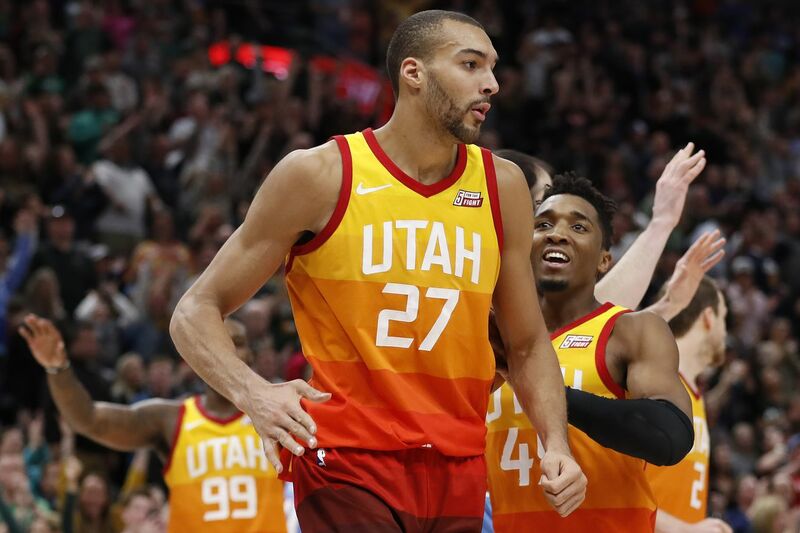 3 in the Western Conference, the closeness of the second season gave occasion for center Rudy Gobert to reflect some on the campaign following the Jazz’s short practice Saturday at Zions Bank Basketball Campus before they left for the City of Angels. One team they surely won’t be surprising is the Lakers, as the two squads squared off earlier this week, a game Utah won 117-110 at Vivint Arena. While a strong second quarter was enough of a catalyst to carry the Jazz to the win on Tuesday, Los Angeles played tough throughout. The Lakers held a seven-point lead at the end of the first quarter and got to within six with less than a minute remaining. The game was the first of three this week against likely Western Conference playoff teams for lottery-bound Los Angeles, as it beat San Antonio the next night and then led the Minnesota Timberwolves by seven at intermission on Friday night before faltering in the second half.